Earn up to 131,880 reward points. 6/4 5-valve for the serious player. 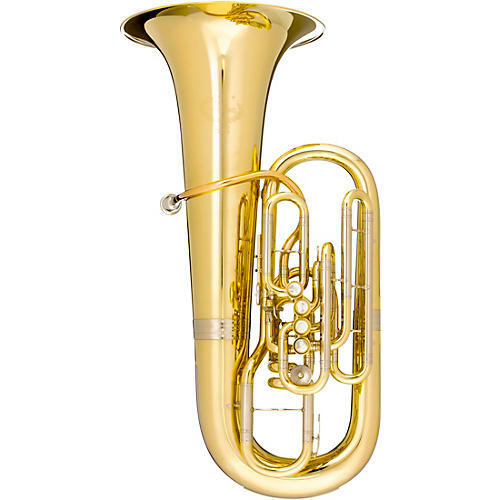 The B&S MRP is an F-Tuba in 6/4 size with 4 piston stainless steel valves and a 5th rotary valve 21mm / 0.827". It is equipped with a .748"-0.787" bore, a 16.5" bell and a clear lacquered finish. It has a height of 37.6". Constructed of yellow brass. Comes with gig bag. Order now and anchor your ensemble. 5th rotary valve 21mm / 0.827"